Do I need an inventory in a rented property ? • it forms part of the legally binding contract that is set out in the tenancy agreement between the tenant and the landlord. The Tenancy Deposit Scheme has shifted power over the tenant’s deposit away from the landlord. This has transformed the importance of making a clear and accurate recording of a rental property. Depending on the size of a rental property, a thorough inventory will take a minimum of an hour (more usually three to four hours). A rush ten minute job probably won’t be good enough to meet the burden of proof in any tenancy deposit dispute. 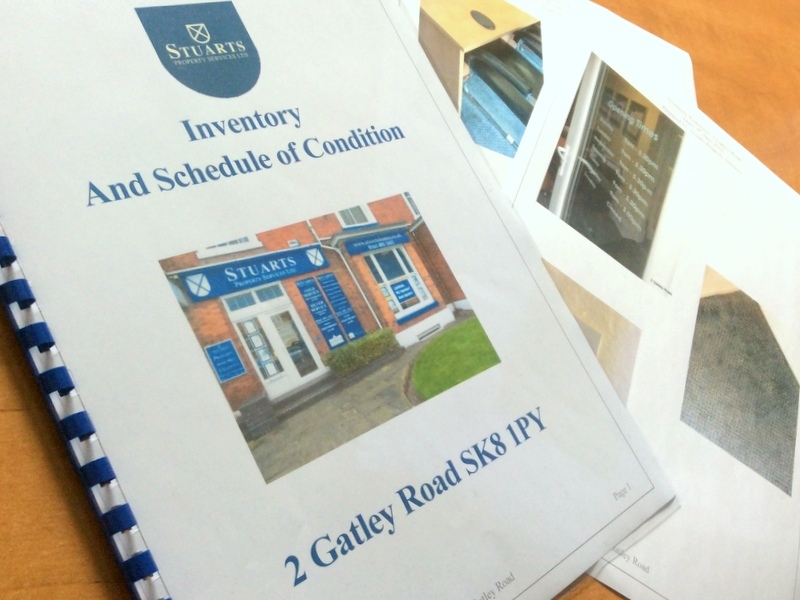 At Stuarts Property Services we provide a full, comprehensive inventory, including colour photographs. We list all items (room by room) and note any dilapidation’s (with photos as proof). Our inventories are written in Plain English – so they are easy to read and understand. This will help the landlord should the case go to court when a clearly written, unambiguous report will have more credibility than one where a tenant could claim that they were unsure what they were signing.